Aric Almirola started Stage 1 in the 19thposition at Bristol Motor Speedway and ended it in the eighth spot to earn three bonus points. On lap four, the Tampa native slowed up to avoid an accident in front of him and received damage to his rear bumper. After assessing the No. 10 Ford Fusion, crew chief Johnny Klausmeier decided Almirola didn’t need to pit for repairs. The red flag was displayed on lap 47 for precipitation. After about a half-hour delay, Almirola climbed back in the Smithfield Ford and restarted in the 22ndposition. The fourth caution of the race came out on lap 61, and the 34-year-old reported that his Fusion took off well on sticker tires. He restarted 16thand maintained a top-20 position. After not visiting pit road when several other competitors did during the lap-119 caution period, Almirola restarted third on lap 124. In a sprint to finish Stage 1, he ended up in the eighth position. Before the start of Stage 2, Almirola visited pit road for four tires, fuel and adjustments. He started the second stage in the 20thposition, and ended the stage in 18th. On lap 204, while Almirola was in the 17thposition, the race was halted due to inclement weather and postponed until Monday afternoon. After the race resumed under caution just before 2 p.m. EDT, Almirola visited pit road on lap 212, just before the race went back to green. He restarted 15thon lap 217. In the green-flag run to the end of the stage, Almirola ran as high as 13thbut finished the stage in 18th. During the caution period for the final stage break, Almirola visited pit road for fuel, four tires and adjustments He restarted 13thafter a great pit stop by the Smithfield crew. By lap 276, Almirola was running in the 12thposition and was able to maintain a top-15 position as the laps wound down. When the 12thcaution of the race came out on lap 390 for weather, Almirola didn’t pit and restarted in 10th. Unfortunately, he slipped back to the 15thposition. On lap 433 he worked his way back up to 13thin the Smithfield Ford and continued to soldier on from there in the closing laps. Just before sleet began to fall at the .533-mile track, Almirola took the checkered flag in sixth. Almirola was the highest-finishing Stewart-Haas Racing Ford Fusion driver. 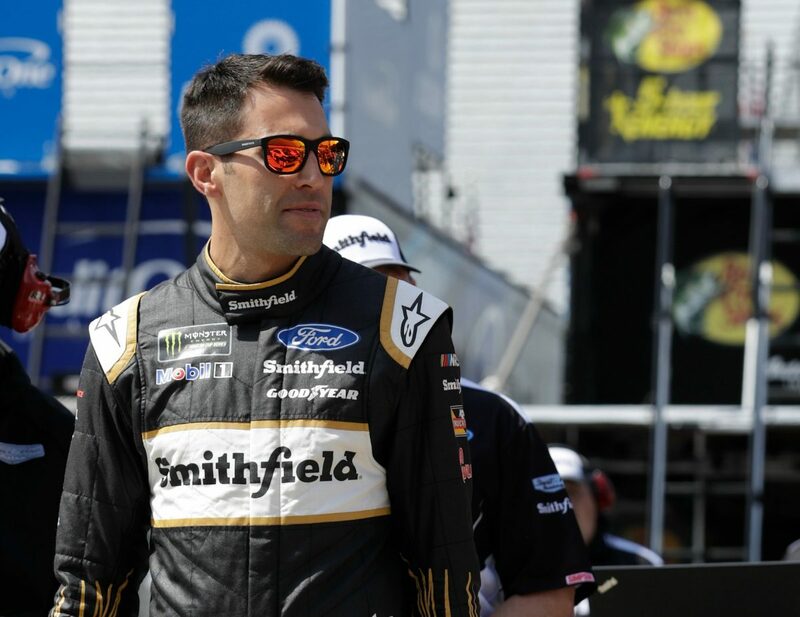 Almirola’s sixth-place finish was his best this season, and it was his third top-10 of 2018. It was also his third top-10 in 18 career Monster Energy NASCAR Cup Series starts at Bristol. The first 204 laps of the Food City 500 were run on Sunday before rain halted the race and postponed it to Monday, when the final 296 laps were completed. The next event on the Monster Energy NASCAR Cup Series schedule is the Richmond 400 on April 21 at Richmond (Va.) Raceway. The race starts at 6:30 p.m. EDT with live coverage provided by FOX TV, MRN and SiriusXM Radio.